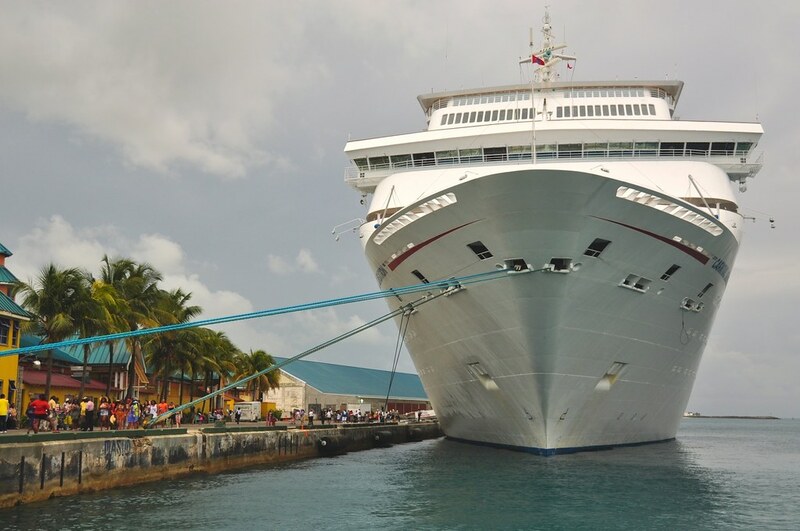 My first Carnival cruise will be taking place soon. There are several reasons that I am a virgin cruiser: job and fear of being seasick again. The most important reason is because of my jobs. For the last eight years, I have needed internet access 24/7, but for the next ten weeks, I do not need internet access for every waking moment. Another reason was my deep sea fishing experience twenty years ago and my para sailing adventure. There are some experiences that you never forget. Daddy thought it would be a great idea for me to go deep sea fishing with the boys, so I did. We arose at 6:00 that morning, and we hit Waffle House with a vengeance. After fried everything, we boarded the boat. At first it was fun, I actually caught the first fish. It was a small thing, but I was quite pleased then the nausea began. After about thirty minutes, I was hanging over the side of the boat. It is safe to say that I did not want to eat at Waffle House or crave eggs and bacon for a long time. Finally, I was able to go down in the gallows to lie down. I went to sleep and I woke up feeling better. I walked up to the steps and then I saw myself. I was literally green from the neck up –not a bright green but a pale thick green. Then I followed Daddy’s advice and ate a few crackers and drank some soda. BIG MISTAKE! I was back hanging over the side of the boat again. When the trip was coming to a close and we were heading in to the marina, as soon as I saw a land form and focused only on looking at the land, I immediately started feeling better. 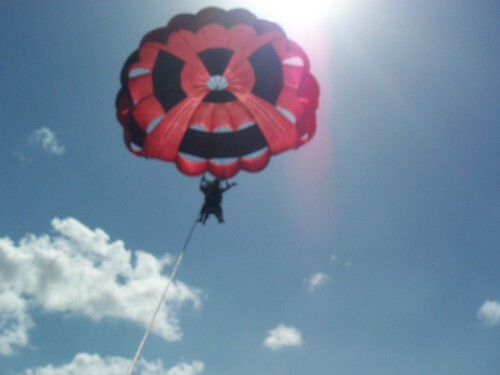 The para-sailing adventure was not as traumatic as the fishing experience, but as the boat was hitting the waves, and I was going up and down in the sky like a yo-yo, I started to feel that same sick feeling as if someone is taking your stomach and throwing it around like a Frisbee. I have decided to tackle my fear of seasickness and arm myself with a patch, Dramamine, and Phenergan. Hopefully the patch will be all I need, but just in case, I will have the other two meds to make me feel better. I am going cruising, and I am totally clueless about what is allowed and what time you do everything, but Adelia is a seasoned veteran, and she will direct me and assist me. We travel well together, so I am ready for the adventure to begin later in the month. I will share my trip with my friends. 790 on the Gulf Restaurant was amazing! Synergy is an all organic cafe and juice bar that focuses on using real whole foods from our local and regional farmers. The Cafe is owned by longtime Locals Amy Likins and Christian Echele who have been making wonderful healthy food on the Emerald Coast together for 13 years. Amy has a degree in Holistic Nutrition and Christian is a classically trained chef- combined they make an amazing team to bring you the freshest, best taking and good for you combinations- you will be eating healthier and loving it before you know it! Great service! The salmon and sweet baked potato were amazing. There was also a great salad bar with spinach—thank you! Chase your dreams….they will not chase you!